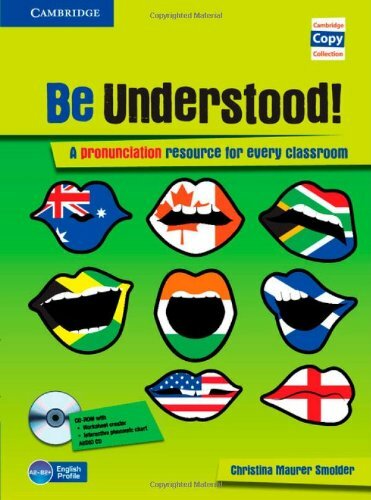 A photocopiable resource of pronunciation materials accompanied by Audio and a CD-ROM. This bank of pronunciation material provides fun, motivating practice in sounds, syllables and words, and phrases and sentences. Informed by English Profile, it is suitable for a range of levels from Elementary to Upper-intermediate+, with a focus on intelligibility rather than mastery of a model accent. Each of the 34 units consists of step-by-step teaching notes and photocopiable classroom material, providing teachers with instant lessons. Teachers can also use the Audio CD to expose students to unscripted audio material with a range of different accents, and the CD-ROM's bank of customisable material can be used to create perfect lessons.